This is the home you have been looking for. This meticulously maintained one of a kind colonial sits on over 1 acre of land in highly sought Hunters Run development. As you drive up the long driveway you will take notice of the 2 car side garage with extra bonus garden shed, professionally landscaped flower beds, and the covered porch leading you to the front door. 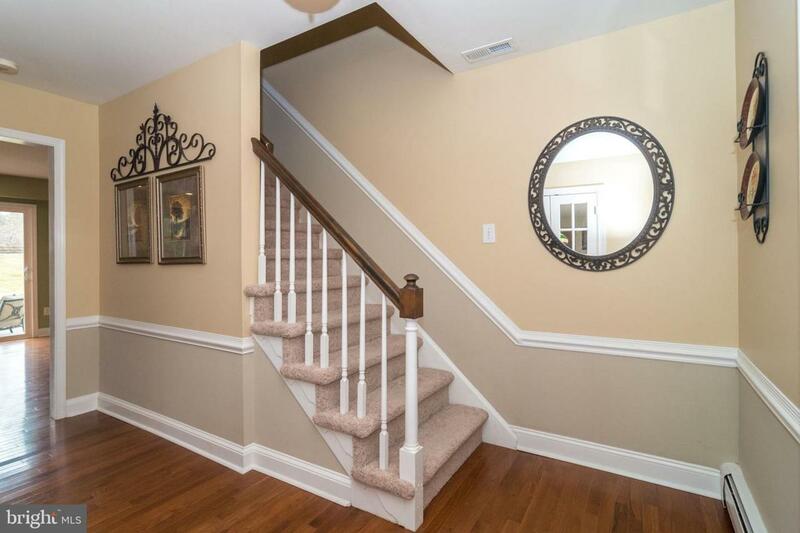 As you enter, the gleaming hardwood floors welcome you in the foyer and continue thru the kitchen and formal dining room. To the left as you enter are two French doors leading you to the living room which is currently being used by the owners as a game room. Check out the lovely bay window and another set of beautiful doors that lead you to the formal dining room. Entertaining is made easy as this room flows to the gourmet kitchen with gorgeous granite counter tops and upgraded appliances. There is plenty of seating room in the kitchen where you can sit at the counter or at the table in the breakfast room/dining area. You can enjoy lovely views thru the sliding glass doors of your backyard as you dine. Just off the kitchen is the brightly lit large family room with welcoming fireplace and lots of room to enjoy your family and friends. Also there is a bonus room that can be used as an office, in-law-suite, 5th bedroom, or play room. A full sized bathroom is also on this floor with a convenient large laundry room and door to the outside. Upstairs the master bedroom has an en-suite bathroom with Jacuzzi tub. There are 3 other generously sized bedrooms with a shared hall bath. 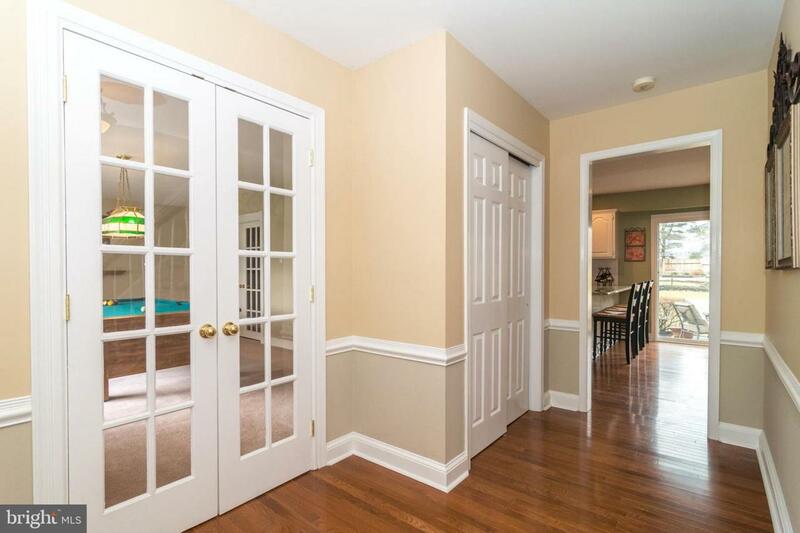 Also, there is a finished basement with bar and plenty of additional entertaining area as well as a workshop too. Now on to the dream backyard with an in ground pool, large garden patio and huge yard for play. 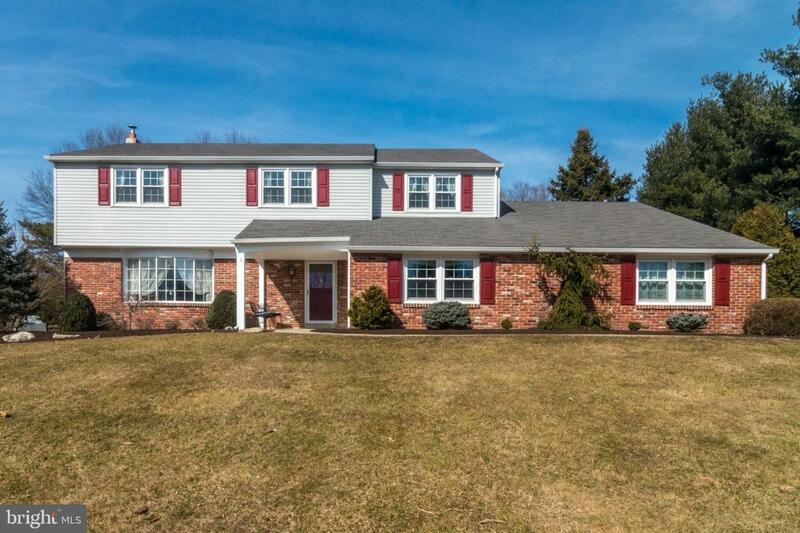 This home is very convenient to Peddlers Village, Doylestown, and New Hope. 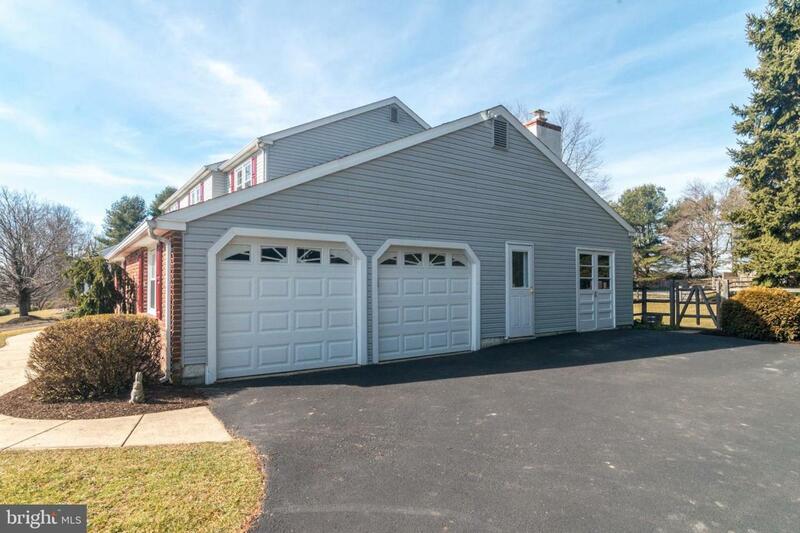 For those commuting, the location of this home offers easy access to major routes to Philly or NYC.